During the CPAT, you must progress along a predetermined path from one event to the next in a continuous manner. Participants wear a 50-pound (22.68-kg) vest to simulate the weight of self-contained breathing apparatus (SCBA) and firefighter protective clothing. An additional 25 pounds (11.34 kg), using two 12.5-pound (5.67-kg) weights that simulate a high-rise pack (hose bundle), is added to your shoulders for the stair climb event. You have 10 minutes and 20seconds to complete all eight tasks. 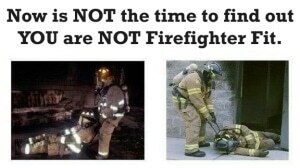 As I mentioned above I find that it is a very challenging and applicable skill test for firefighters. 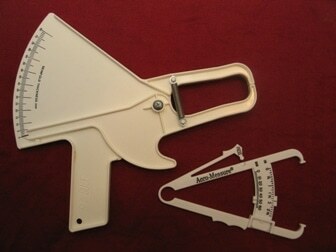 The problem with the test is that it requires special equipment and lots of room. 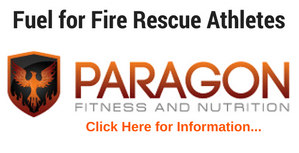 So, what are tests that can be administered in a regular gym or firehouse that are good assessors of firefighter fitness? 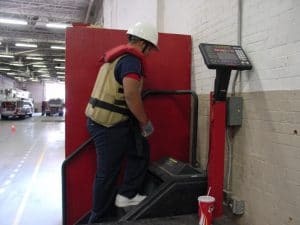 My research on this topic has found (please let me know your thoughts below) that there are 5 specific tests that can help indicate a firefighters level of fitness. 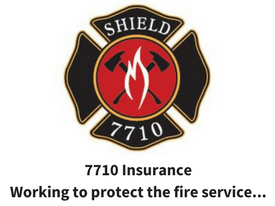 Let it be known that these test do not test the skill level of the firefighter (raising ladders, search and rescue, forcible entry) but are a good correlation. I do intend to post about some good skill related courses soon, so stay tuned. These tests are the plank, push-up, mile run, overhead squat, and body composition. (As mentioned before please comment on whether you agree or not). Each one of these tests assess a valuable fitness component to firefighting (fire rescue athlete); the plank tests core strength, the push up- muscular endurance, overhead squat- functional fitness, the mile run- cardiovascular fitness, and body composition- overall health. Try each test and let me know your results. 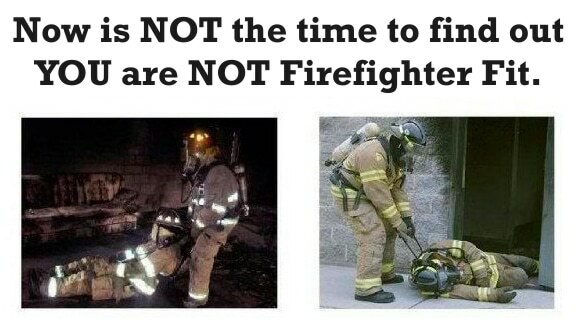 Are you Firefighter Fit? 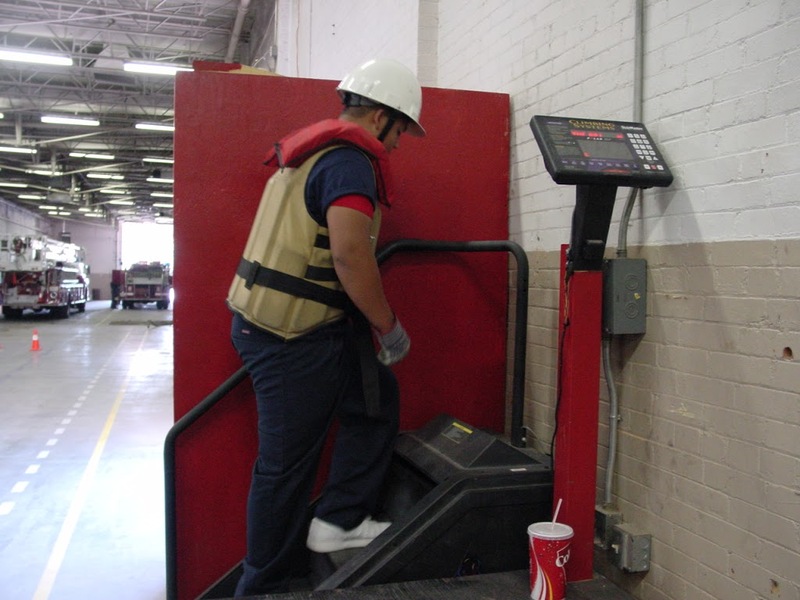 Or are there better ways to test firefighter fitness? You’ll need something long, solid, light, and straight, like a broom handle or dowel. Assume a basic plank position, with your weight resting on your forearms and toes. Your body should form a straight line from neck to ankles. You want your feet hip-width apart and your elbows directly below your shoulders. Have a friend set the dowel along your back. It should make contact at three points: the back of your head, between your shoulder blades, and your tailbone. Hold that position. Stop if your body loses contact with the dowel at one of these three points. As with the basic plank, you’ll need a broom handle or dowel for this test, the overhead squat. Stand in front of a mirror with your feet shoulder-width apart, holding the dowel straight above your shoulders with your hands wide (about 1½ times shoulder width) and your elbows locked. Push your hips back and lower yourself into a squat as you keep the dowel directly above your head, your knees over your toes, and your heels on the floor. Go down as far as you can without changing the position of your lower back, leaning forward, pulling your knees inward, or rising up on your toes. A word to the wise: This test is much harder to complete with perfect form than you think, so don’t take it lightly. 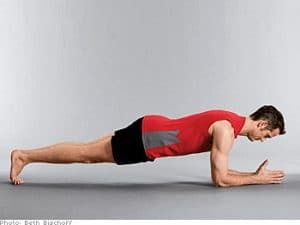 Assume a pushup position with your hands directly below your shoulders, your feet hip-width apart, your weight resting on your hands and toes, and your body in a straight line from neck to ankles. Lower your body until your chest is about an inch above the floor, pause for 1 second (this is essential), and then return to the starting position. Complete as many consecutive pushups as you can while maintaining strict form. It’s best to test yourself outdoors on a track or flat stretch of trail or pavement where your distance can be accurately measured. If you choose to run on a treadmill, make sure you elevate it to 2 degrees to make up for the mechanical assistance you’re receiving from the moving belt. Once you’re sure of the distance, start your stopwatch and take off. Give these tests a try and see how you measure up. 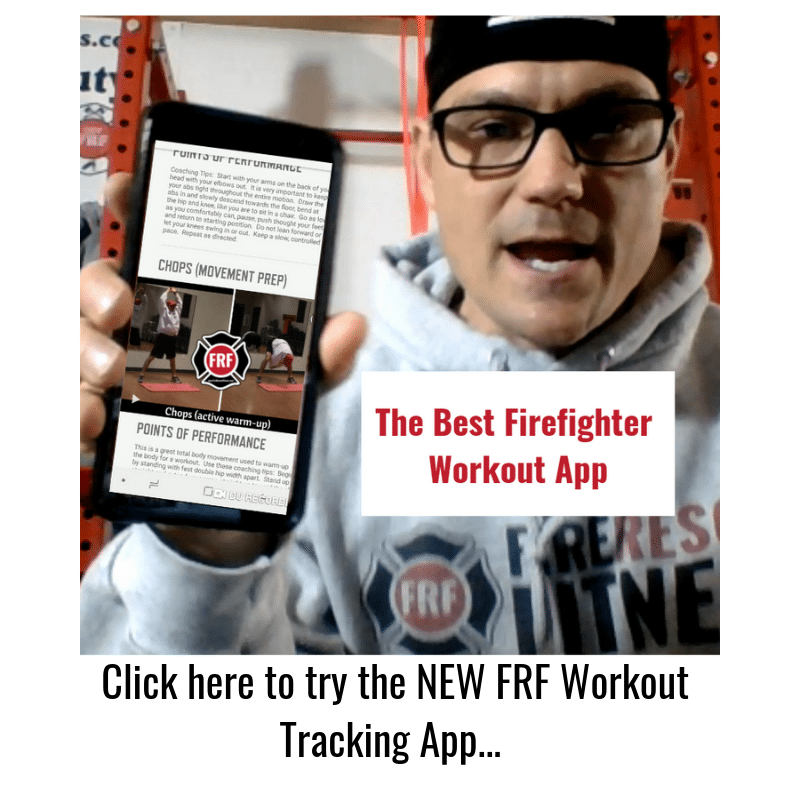 If your having difficulties or don’t score as high as you would like, JOIN the FireRescue Athlete Nation and get the FREE FRF 28-day Quickstart Workout program which includes the SOP’s to Lean Eating in the Firehouse.